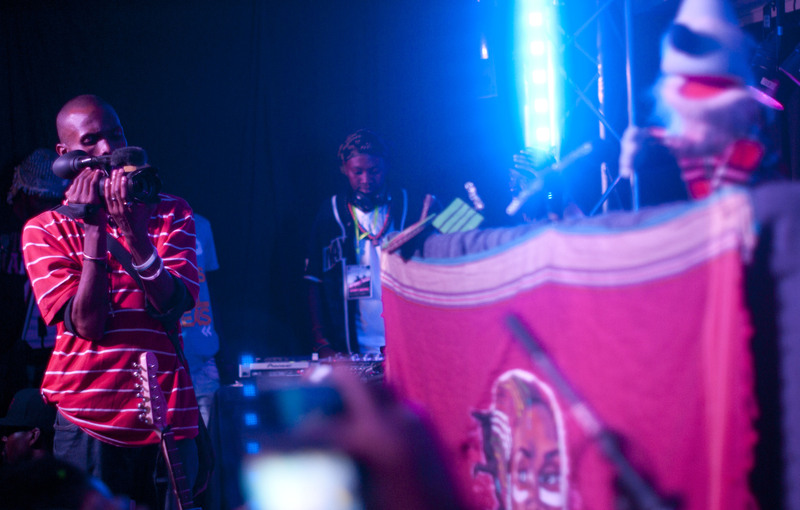 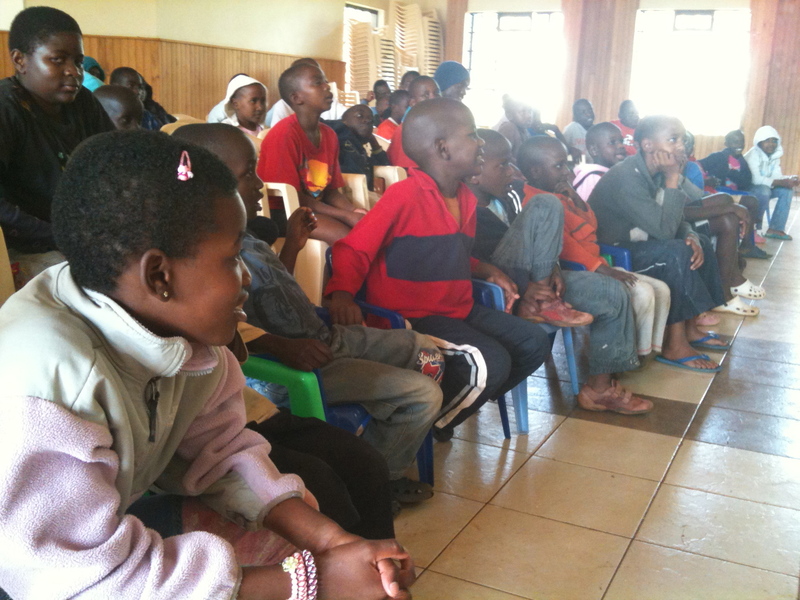 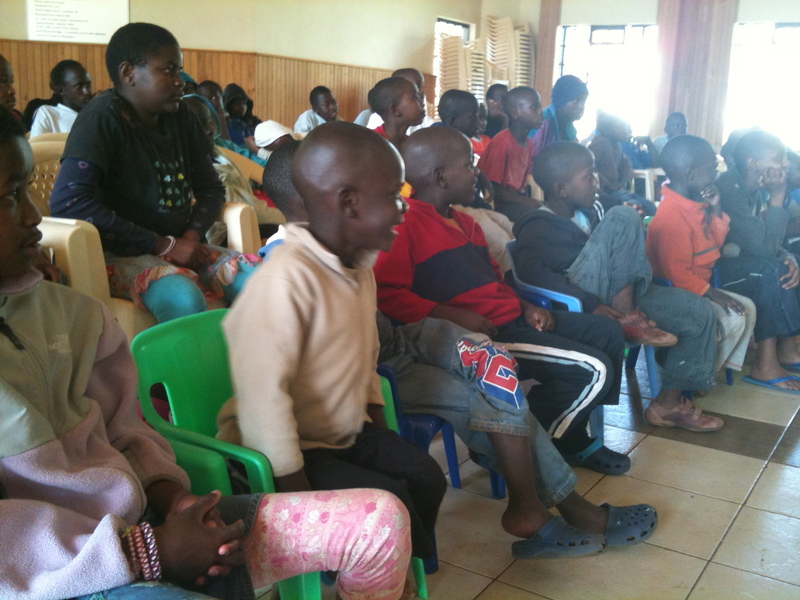 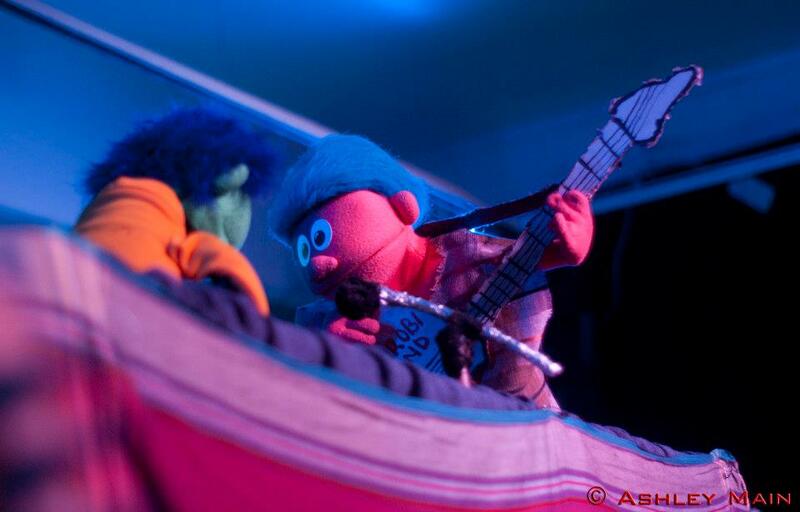 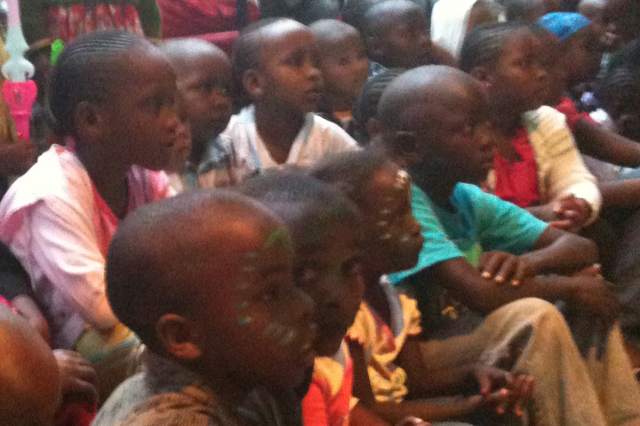 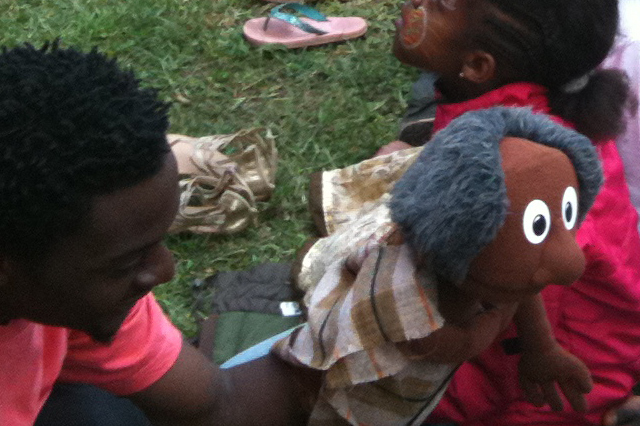 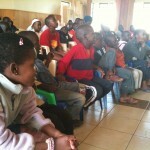 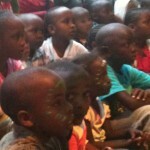 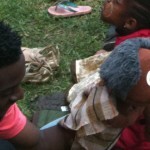 Children with HIV watching a puppet show in Nairobi, Kenya. 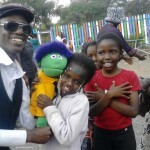 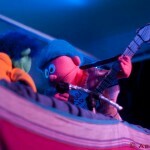 Kaladze Vidze with puppet and children. 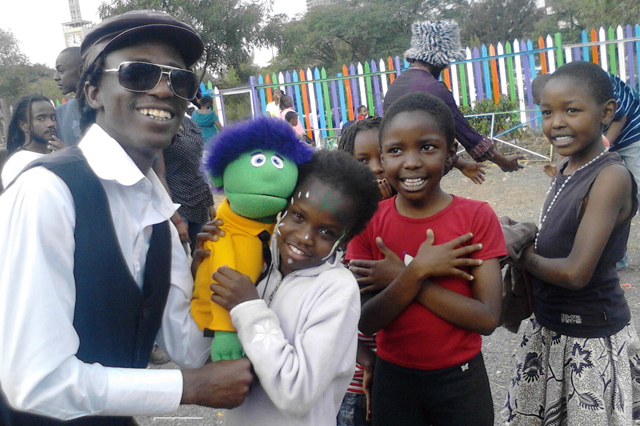 George surrounded by fans after a show. 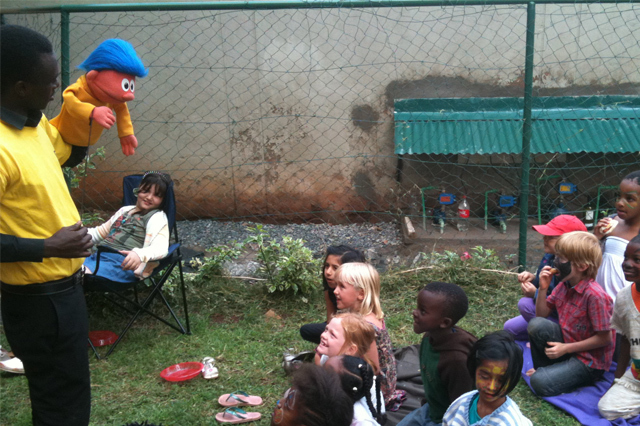 Johnny warms up the kids during one of our test shows. 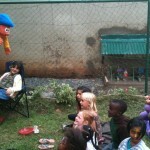 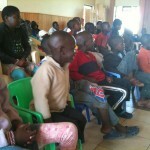 Children at the Nyumbani Orphanage watch the puppet show with delight.